Fashion shouldn’t cost the earth, yet after housing, transport and food, the clothing industry has the largest environmental impact in the UK. 'Fast fashion’ has come under increasing scrutiny in recent times for its potential negative contribution to pollution, climate change and resource consumption, which is set to triple by 2050. Fast fashion is a term used to describe inexpensive, quick-to-market clothing based on the most recent trends first seen on the catwalk. These latest styles are then designed and produced swiftly to be available in high-street and digital retailers for the mass market. Fast fashion has become almost synonymous with disposable fashion and a throwaway culture, much like we are seeing with the plastic problem. The rapid turnover sees clothing items worn just a few times before being thrown away and replaced with other items. According to WRAP, the average lifetime for a piece of clothing is around 2.2 years. Extending this by nine months can significantly reduce the environmental impact. 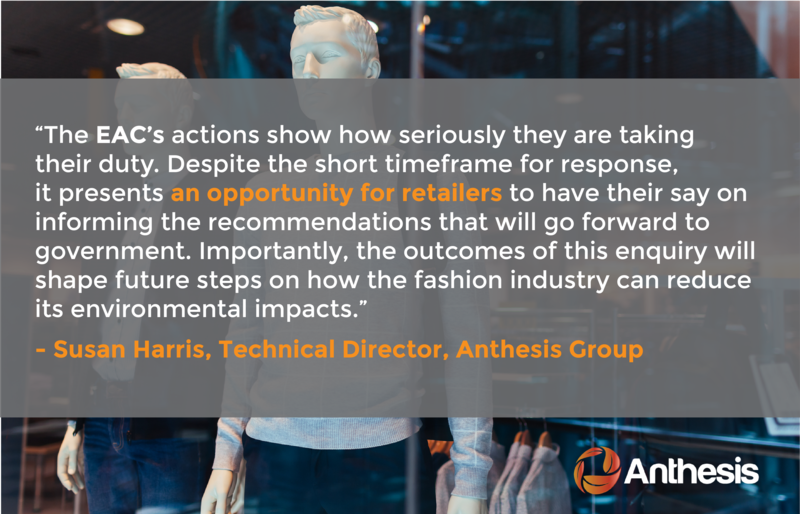 With the fashion sector continuing to grow, the UK’s Environmental Audit Committee (EAC) conducted an enquiry into the social and environmental impacts of fast fashion, and the wider clothing industry, in an effort to create a thriving and sustainable industry. The enquiry, chaired by MP Mary Creagh, issued letters on the 5th October 2018 to the Chief Executives of 10 of Britain's largest fashion retailers, including Primark, Next and Marks and Spencer. The letter called for big fashion brands to disclose the full extent of their environmental and social impacts. What recycled materials, if any, do you use in your products? What could the government do to encourage greater use of recycled materials in clothing production? Are all the garment workers producing the clothes you sell paid a living wage? What is the average lifecycle of the garments you sell? Are you taking any action to encourage reuse, repair and/or recycling of clothing? Importantly, it also gives those in the industry and chance to influence the debate before actions are put into place. What are the negative effects of fast fashion? Despite the apparent benefits to the end consumer of fashionable clothing at low prices, there are growing concerns about the global impacts of the fashion industry. A report by WRAP in 2017 showed that 300,000 tonnes of clothing and textile waste is binned in the UK each year, destined for the landfill site. As part of the EAC enquiry, the Textiles Recycling Association stated that consumption of clothing in the UK is higher than in any other European country with an average of 26.7kg of clothing bought per person every year. Sweden are currently championing the 'slow fashion' movement, consuming just 12.6kg of clothing per person. It’s not just the end of the item’s life that brings problems. Upstream in the supply chain, the production of raw materials, dyeing and finishing all have significant environmental impacts in terms of carbon footprint, waste and water use. 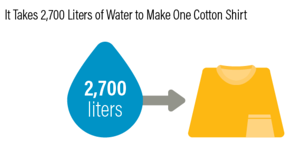 For example, it takes 2,700 litres of water to make one cotton shirt! Pollution can also be an issue throughout the clothing lifecycle. Toxic chemicals are used and potentially released during the production phase, as well as plastic fibres being released during the washing process, polluting our water systems and oceans with microscopic particles, known as microfibres. Recently microfibres, a product of synthetic fibres such as polyester, and hazardous chemicals, such as PFAs or PFCs, have been found in streams, river beds, deep ocean locations, the pristine sea ice of Antarctica and even in the stomachs and tissues of marine animals, highlighting the extent of the problem. With nowhere immune to the pollutants, it's crucial that plans are put in place to limit their damage. 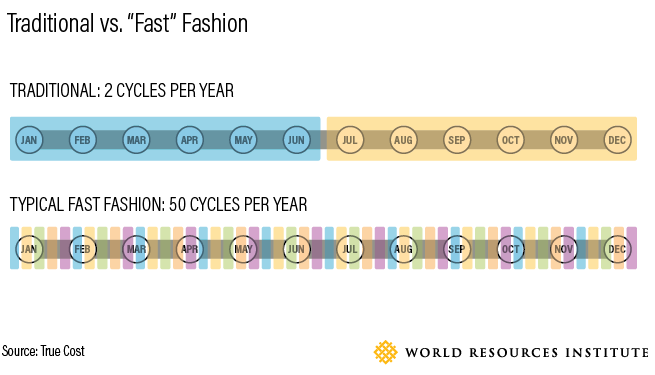 Resolving the issue of fast fashion successfully requires several areas to be addressed, including carbon impact, water footprint of clothing throughout the lifecycle, recycled materials and the circular economy, plastics, and supply chain labour rights. What can be done to encourage more people to buy fewer clothes? How can consumers be encouraged to reuse clothes? How to dispose of items when they are no longer wanted? Our team has done extensive work on these areas for industry, government and consumer groups - see the sustainable clothing guide we produced for WRAP. Further points to be considered, include reducing carbon emissions during production, assessing whether workers’ rights and safe working conditions are guaranteed in manufacturing factories, and reducing the water footprint of clothing through shifting to sustainable fibre use. Digital assessment tools – such as the Higg Index created by the Sustainable Apparel Coalition – can help measure and improve a clothing brands’ sustainability performance, as illustrated in our clothing supply chain blog. With the spotlight on the clothing industry being intensified, brands need to carefully consider their next steps to make sure their future performance and reputation will be sustained. You can learn much more on this topic by speaking to one of our Apparel sustainability experts - Susan Harris or Honor Cowen - via the contact form below. Having worked on big projects with high-profile clients, we'll be able to help your organisation to make improvements you require. 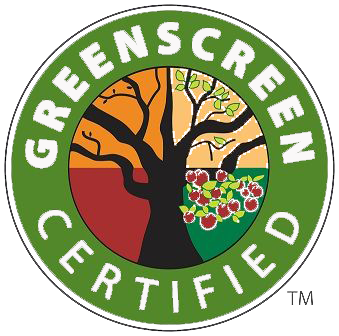 Make sure you take a look at our dedicated sustainable apparel and textile resource page for much more information. * Blog updated on 8th October 2018. Would you like to discuss fast fashion, clothing or the apparel industry in more detail?